Guided vacations come in all shapes and sizes and Trafalgar offers hundreds of itineraries across several travel styles in destinations around the world. Whether it’s in thier Europe & Britain, USA & Canada, Australia & New Zealand, South America, or Asia program, each package combines the essential elements of an unforgettable, hassle-free vacation – accommodations, transportation, many local meals and must-see sightseeing. So all you have to do is choose the place, pace, price and overall experience that’s right for you. Regional Experiences vacations delve deep into the heart of the destination. These vacations delve deep into the heart of a particular country or region to discover the true essence of the destination. Your Travel Director and Local Guides take you beyond the guidebooks and reveal the unique people, places and sights that make each destination so special. Relax with the flexibility and freedom to explore at your own leisure. Carefully crafted relaxing vacations, they include the cities and sights you want to see, but you get longer lie-ins and longer stays in each destination, usually stopping for two to six nights, giving you more free time to explore or relax on vacation. 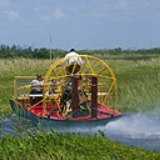 Family Experiences offer fun and excitement for the whole family. Every element is created for multi-generational families. Of course you get family hotels and child-friendly dining. And we’ve taken away all the hassle so you can just enjoy your time together. But we’ve also created a unique collection of exclusive family vacation experiences – to suit everyone from children to grandparents. 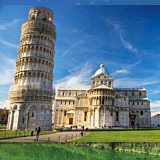 Discovery vacations take you through several countries or regions. You’ll travel by luxury coach with one of Trafalgar’s professional Travel Directors who will give you a true insider's view of each destination while taking care of all the details of your trip. Trafalgar offers a unique way to discover our destinations – by rail! Trafalgar offers a unique way to discover destinations like Europe and Canada – by rail! 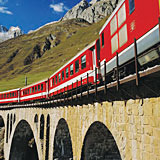 Whether it’s aboard a high-speed train like the Eurostar and TGV, or a scenic rail journey like the Glacier Express in the Swiss Alps and VIA Rail’s The Canadian Train from Jasper to Toronto, travel by train has a charm all of its own and takes you to landscapes you can't otherwise see. 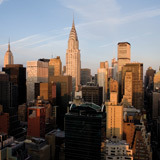 Explore fascinating cities on an independent journey of discovery. Explore the great cities of Europe and the Eastern Mediterranean on an independent journey of discovery with Trafalgar’s City Breaks. 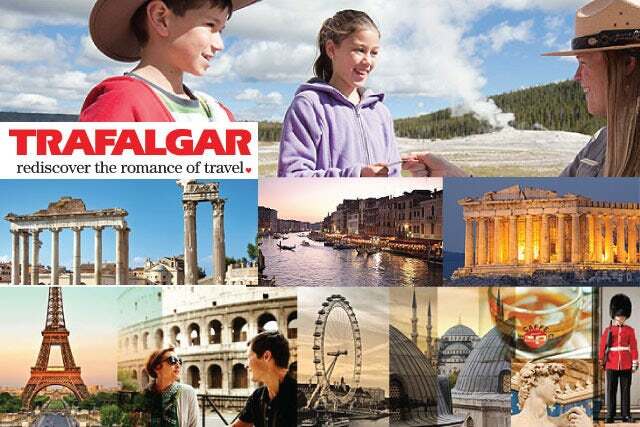 Available in both our First Class and CostSaver Europe & Britain programs, these exciting vacations are specifically designed for travellers who want to explore on their own but still enjoy the benefits of Trafalgar’s insider expertise and global buying power. Relax on a cruise with Trafalgar in Egypt, China, Greece, Alaska and more. Trafalgar’s Cruise vacations showcase some of the world’s most scenic destinations in Asia, Greece, Egypt, South America and the USA. Choose from combined coach and river cruise guided vacations along China’s spectacular Yangtze River and the legendary Nile in Egypt. 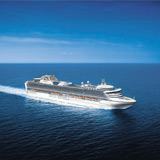 Or soak up the sun as you cruise the Aegean Sea around the enchanting Greek Islands.